Employee benefits can be a complicated subject for any working person, even if you’ve enrolled in them several times over the years. The reason for this is because the health insurance and employee benefits markets are continually changing. Each year, new requirements pop up, open enrollment dates are shortened, and the choice of group plans gets harder to decipher. 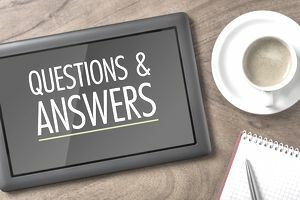 It’s for these reasons that we’ve compiled a list of the most frequently asked questions that working people have about their employee benefits. What are the general types of group employee benefits I may be eligible for? The types of employee benefits that are available for working people are virtually limitless, but most employers are required to provide the minimum coverage under the Affordable Care Act. This generally includes health insurance, prescription coverage, and dental benefits for minors. All other group benefits are offered by employers who want to encourage well-being for their workers, so they are worth looking into. These can be standard benefits such as vision care, health savings accounts, flexible savings arrangements, life insurance, short term and long term disability insurance, retirement savings plans, profit sharing, and more. There are also a large number of voluntary benefit plans that employees can pay for, but at greatly reduced group rates, including vehicle and home owners insurance, cancer care, hospital indemnity plans, supplemental life insurance, stock buying options, and others. Lastly, many of the benefits that employees enjoy are paid for in full by employers, and may include paid time off (vacation, sick, and personal), corporate wellness programs and wearable fitness trackers, onsite perks like daycare and free meals, company sponsored events, training and development programs, tuition reimbursement, and more. Why do I need to enroll in employee benefits when I am healthy? It can seem like common sense that if one is healthy, then why buy health insurance? But, this is similar in thinking, if I am a safe driver, why buy auto insurance? First off, under the ACA, consumers must purchase health insurance or participate in a health cost sharing program, or they will face tax penalties. Secondly, having health insurance enables consumers to access preventative health care services that catch problems before they become serious health threats. At the very least, consumers need health insurance benefits to cover them in the case of a catastrophic illness or accident which can easily bankrupt anyone with one serious surgery or hospitalization. The peace of mind and income protection are reasons enough to enroll in benefits. How can I know what kind of employee benefits I need? This is an individual question, based on your unique needs and lifestyle. Each person is responsible for his or her own well-being, with the exception of minor children who need their parents to provide for them. To best answer this question for yourself, determine what health services you are likely to participate in the coming year. You can look back to the past, your health history, your age related concerns for screenings you may need, and any current medical care you receive. You will be looking at other factors too, such as what your budget allows in terms of monthly premiums and out of pocket costs. Do you have any special health goals to reach this year? You may want to choose a plan that includes access to discounts for weight loss support, fitness benefits, or programs to stop smoking. Then there are the legal requirements. You’ll need a health care plan that meets ACA minimum requirements. What if I just need health care coverage for my dependents? It is generally recommended that if your company offers group health benefits, then you can maximize your savings by enrolling in a family coverage plan. However, based upon your family size, your income, and the ages of your children – you may be able to obtain low cost health insurance benefits just for them. Some states have generous income allowances for working parents who need public health assistance for children. When can I enroll in my employee benefits at work? You should first check with your human resource representative to learn about what employee benefits are available to employees, and if you are eligible to enroll in a plan. Each organization may have rules around wait periods until new employees are eligible or until the next open enrollment period begins. This may or may not have been explained to you when you were first hired, or the information may be included in your company’s employee handbook. In either case, your employer will probably start notifying employees when the annual benefits enrollment period begins and ends, so pay attention for these alerts. These may come sometime around the end of the fiscal year for your company (late summer) or near the very end of the year in preparation for the next plan year (November to December). If I get new benefits, do I have to switch health care providers? This is a common worry among working people, because they are generally associated with a favorite physician or hospital group. The good news is that most insurance companies work with large networks of healthcare providers in every state and region. Therefore, the health care plan that enabled you to visit a certain doctor or hospital may end, but your new coverage will allow you to continue that same care. A good way to find out before you enroll in a specific plan is to visit the administrator’s website and do a quick look-up for your health care providers. You can also call your provider directly and ask if they accept the insurance plans that you are being offered at work. In most cases, they will accept your new insurance with no problems at all. Can I make changes to my employee benefit selections – if so, how? Yes, it is possible to make changes to your benefits. There are three ways that a health insurance member can make changes. The first is during a job change and being offered new coverage. Generally, you will have a certain number of days after your eligibility period to make changes to your benefits and enroll in a new plan. This can vary by employer, but may be within the first 30 to 90 days on the job. The second time you can make changes to a benefit plan is during the open enrollment period at your place of employment. The open enrollment period is usually announced by the company once or twice a year, during which time all eligible employees may enroll or re-enroll in their group benefits for the upcoming plan year. Employees can also make changes to their benefits, such as adding or deleting a dependent, upgrading to a plan with a lower deductible, adding supplemental benefits, or switching plans all together with. The third time you can make changes to your benefit plan is when you or your spouse experiences a qualifying life event. A qualifying life event may include a loss of benefits due to a job change or termination, the birth of death of a dependent, the adoption of a child, a divorce or marriage, becoming a US citizen, and moving to a new state that doesn’t offer your current plan. There are other extenuating circumstances that allow for a change in benefits, so be sure to check with your human resource department for more information. If my employer doesn’t offer the benefits I need, where can I get help? Although employers with 50 or more employees must provide access to affordable health benefits under ACA requirements, this doesn’t mean that the plans offered will be enough. If you find yourself in this predicament, there are some actions you can take. First, schedule a meeting with the benefits administrator at your workplace and talk about your needs. There is a good chance that the company can put you in touch with a voluntary benefits provider that may have some of the options you need to fill in gaps. Or you may be eligible to shop for a plan of your own choice and take advantage of a defined contribution option, which is where your employer provides you with a capped dollar amount to pay for benefit premiums each year. Second, you can check with the state marketplace exchange (if your state participates) and shop for health insurance plans here. Submit this information to your employer for reimbursement. Depending on your income and family size, you may also be able to get government subsidies to help pay for your health insurance premiums. Or you may be eligible for public health benefits, such as Medicaid. Lastly, you can participate in a health cost sharing program or discount wellness program where you can pay a flat rate per month and get services at the lowest rates. There are also low cost voluntary benefits available at group rates, for things like dental and vision care, prescriptions, and more. This can lessen the impact on your budget. If I work less than full time, can I still get benefits through an employer? A growing number of employers have recognized that part time employees also need access to health care. Depending on your company’s policy on this, you may be eligible for group health benefits if you work less that the standard 40 hours per week. Check with your human resource department to find out more. Consider that companies often offer many perks for all employees that part timers can take advantage of – such as paid time off, sick time, flexible scheduling, onsite services, bonuses, wellness programs, free meals and beverages, and professional development benefits. How can I choose between benefits my employer offers vs. marketplace benefits? When shopping around for health insurance coverage, it’s important to carefully weigh the pros and cons of the plans offered by your employer and those available through other channels – such as the state marketplace. Most experts advise to see what plans are offering and the rates through the health insurance marketplace before open enrollment periods, which can arm consumers with more information. In most cases, the group benefit plans will be three-tier, meaning you will be able to choose the deductible and out of pocket maximums that your budget will allow, along with the plan deductibles and coverage limits for yourself and dependents. Here are some good guidelines. Choose the plan that offers the greatest amount of coverage, with the lowest annual deductible, and the lowest monthly premium that you have to pay. Keep in mind that if you buy your health insurance through the marketplace, you are doing so with earnings that have been taxed. If you buy your group health insurance plan through your employer, the deductions are taken pre-tax, which means your share is actually a bit smaller.